A post by Kitty of Kitty Wireless on the PagePlus dealer's user forum strongly hints that PagePlus Cellular will be offering LTE support in a month or two. Kitty never comes right out and says the LTE word. In a forum thread titled "O.m.g", she just says that something that will make users "very, very, very, very, very..... x 100..... happy" is coming to PagePlus and it involves SIM cards. PagePlus' current Verizon based 3G service doesn't use SIMs, but Verizon LTE requires them. I suppose Kitty could mean that PagePlus will be offering GSM service but that seems unlikely. Verizon Prepaid finally got LTE last week so it was just a matter of time before the 4G technology filtered down to Verizon MVNOs. With PagePlus owned by TracFone, the largest US MVNO and a huge wholesale customer of Verizon, it's the logical choice to be the first MVNO to get LTE. I suspect that if PagePlus does get LTE, TracFone's other brands offering smartphones on Verizon; Straight Talk, NET10 and TracFone will get LTE around the same time. As to when LTE, or whatever this exciting thing involving SIMs will arrive, Kitty is being coy about that too. saying only "I would wait until the end of August before buying a device." Verizon Prepaid already offers LTE, but PagePlus has lower prices. Verizon's sole smartphone plan is $45/month for unlimited talk and text and 500MB of data. PagePlus charges $39.95 for unlimited T&T and 1GB of data or $29.95 for 1200 minutes, 3000 texts and 500MB of data. One question about LTE is whether it will mean the end of PagePlus's ability to activate non-Verizon phones that have been "flashed" to work with Verizon. There have been rumors that Verizon wants to end the widespread usage of flashed Sprint, Cricket CDMA and other non-Verizon devices and might ban their activation when they enable MVNO LTE. Non-Verizon phones are incapable of supporting Verizon LTE and there's a huge supply of older Verizon LTE phones so I don't see the end of flashed phones being a big issue. Presumably current flashed phone users will be grandfathered until they switch devices. I am with you! I loved PagePlus, but did not want to get a flashed phone. As soon as PagePlus gets 4G, I am moving away from H2O! PagePlus is not an option I would consider until they did like Selectel and offered the post-paid network instead of the much smaller prepaid one they operate on now. Selectel is not an option I would consider until they do like PagePlus and offer 1GB of data for $40 and 500MB of data for $30, instead of the much smaller amounts they provide now (only 200MB at $40 and 300MB at $30). Most people can use *free* roaming just a few times a year. They could pay the 20-29c/minute roaming on the Verizon Extended network those few times when using PagePlus. Most people would rather have the 800MB or 200MB more mobile data every month. PagePlus users pay nothing extra to text while roaming on the Verizon Extended Network, so most people can have the best of both plans by texting instead of calling during the few times they are roaming with PagePlus. It's a mash up I made of the PagePlus logo and the LTE logo. It isn't hard to create with a graphic editor. Just checking if it came from Pageplus. Irony is that Verizon and others delayed data but it will turn out to be their biggest cash cow. I just read that Verizon was trying to attract prepaid customers to Verizon Prepaid. That's why they open up LTE to Verizon Prepaid. This move would do the opposite. We don't quite know how it will pan out just yet. Maybe when Verizon offers LTE to MVNOs it will be throttled or not include XLTE. There will also be a number of people that will never trust an MVNO and will continue to use Verizon prepaid. I believe that that is a good idea. Some folks just want the Verizon network, but don't want the contract. I am one of those folks. I want the Verizon network, I just do not want to pay $50 a month. The $30 a month PagePlus plan works much better for me - about $240 a year better! XLTE is just marketing spin on the fact Verizon has started using a second band (AWS or band 4) for LTE. They are doing this because their existing spectrum on band 13 is maxed out. The addition of a second band provides added bandwidth for greater speed but isn't really anything revolutionary. AT&T is using four LTE bands but hasn't bothered to give it a fancy name. I doubt that Verizon will block MVNO devices from using band 4 if the devices support it. I've never heard of any operator restricting access by band and I don't that's even technically feasible. I think Verizon would be dumb to do this. They waited so long to even let prepaid customers use LTE. So, I think Verizon should wait at least 90 days as and Exclusive for their prepaid. Then, since Tracfone has over 25 million customers charge them a premium for getting it first. Say let Tracfone have it for 30-45 days Exclusive then after that let the rest of the MVNO'S have it which would be towards the end of the year. I mean this way would mean more money for Verizon. It's common sense say Verizon adds around a million or more prepaid subs in a 90 day period; then they get all that money as oppose to shortly after release letting MVNO's pay them a lil extra to resell their LTE service. Making less money is not the Verizon way. It mite be what y'all cheap MVNO users want in the short term but I think we can all agree it's not what's best for Verizon Business! "making less money is not the Verizon way" , umm okay, who's "way" is it, AT&T's, Tmobile's, Sprint's? I've had 3G, 4G and LTE on both ATT and Verizon post and prepaid and now being on PagePlus I see virtually no real world difference in terms of speed between the three bands in every day real world use. My wife in on Verizon post-paid (LTE) through her work and I use her phone now and then and she uses mine on Page Plus and there is just no big difference if any. I would however like a newer phone so LTE would be welcomed. Any updates on this? I'd love to switch to Page Plus, but can't until they support LTE. Just rumors. One rumor says the end of the month the other says the end of the year. Ruth: Hello, Thank you for contacting Page Plus Cellular. How can I help you today? you: I used to have PP but wanted 4g LTE so switched to t-mo. I'd like to come back to PP. Any idea when PP will offer 4g LTE? Ruth: We have no date given on when this service will be offered. There has been no training to date, so I do not see this being a service offered anytime soon. I would continue to check back, around Thanksgiving time. So there we have it.... for now! 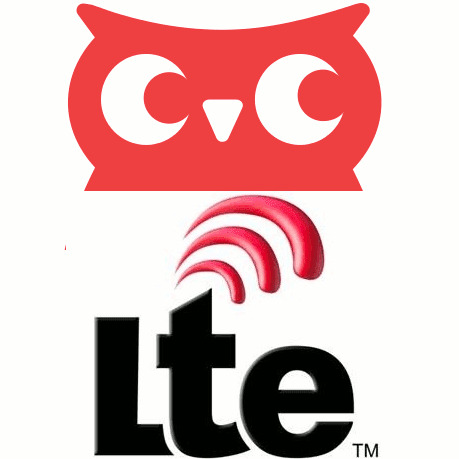 Kitty Wireless is reporting that LTE will be coming in October. She adds there will be no price increases.